DALLAS, November 5, 2018 /3BL Media/ - Kimberly-Clark Corporation has been recognized with two prominent awards for its efforts to improve energy efficiency and reduce its carbon footprint. The company received the 2018 Responsible Business Award for Climate Action from Ethical Corporation, and earned its sixth consecutive SmartWay® Excellence Award from the U.S. Environmental Protection Agency for leadership in freight supply chain environmental performance and energy efficiency. Kimberly-Clark won top honors for its global Energy & Climate program at the 9th annual Ethical Corporation Responsible Business Awards. The Climate Action Award recognized the company’s innovative strategies to reduce the climate impacts of its operations through energy conservation, transformative LEAN energy management programs and the increased use of alternative energy sources including renewable energy. Through these initiatives, Kimberly-Clark has reduced its Scope 1 and 2 absolute greenhouse gas emissions by 18% compared with a 2005 baseline, putting the company on track to achieve its 2022 goal of a 20% reduction in GHG emissions four years ahead of schedule. 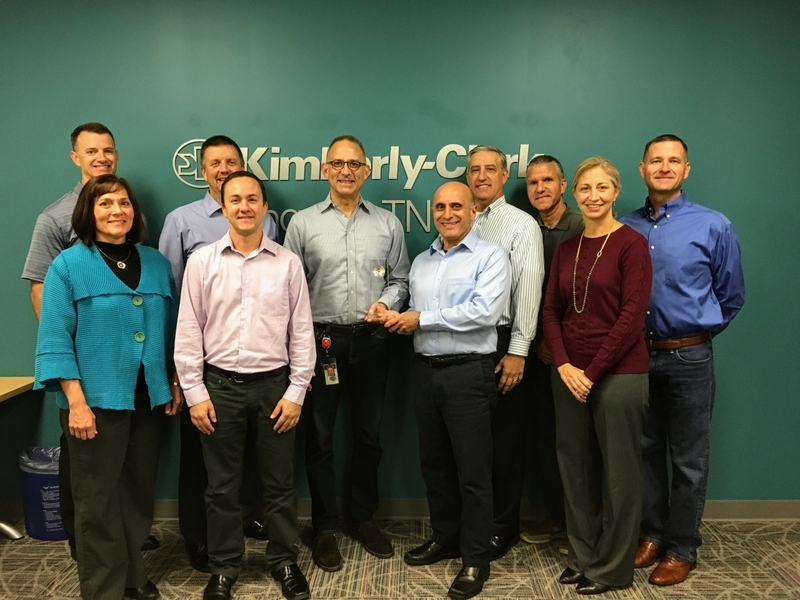 In addition, the EPA honored Kimberly-Clark for its continuous improvement in working with transportation providers to reduce greenhouse gas (GHG) emissions, in line with the company’s Sustainability 2022 goals. Kimberly-Clark was one of only 14 companies to receive this distinction, representing the best environmental performers of SmartWay’s 3,700 partners. Since joining the SmartWay program in 2006, Kimberly-Clark has been recognized nine times, the last six years consecutively. The 2018 SmartWay awards were presented last month at the Council of Supply Chain Management Professionals Conference. “We're proud to be recognized by as a top environmental performer by the EPA. This award bolsters our commitment to pursuing supply chain efficiencies that result in reduced GHG emissions and increased climate protection. It’s not only good for our business, it’s good for communities we touch,” said Scott DeGroot, vice president of transportation for Kimberly-Clark. Learn more about Kimberly-Clark’s Sustainability 2022 strategy and read stories from our employees and teams around the world at http://www.sustainability2022.com. Kimberly-Clark (NYSE:KMB) and its trusted brands are an indispensable part of life for people in more than 175 countries. Fueled by ingenuity, creativity, and an understanding of people’s most essential needs, we create products that help individuals experience more of what’s important to them. Our portfolio of brands, including Huggies, Kleenex, Scott, Kotex, Cottonelle, Poise, Depend, Andrex, Pull-Ups, GoodNites, Intimus, Neve, Plenitud, Viva and WypAll, hold the No. 1 or No. 2 share position in 80 countries. We use sustainable practices that support a healthy planet, build stronger communities, and ensure our business thrives for decades to come. To keep up with the latest news and to learn more about the company's 146-year history of innovation, visit kimberly-clark.com or follow us on Facebook or Twitter. The Ethical Corporation Responsible Business Awards are the world’s leading awards celebrating leadership in sustainable business. The Responsible Business Awards recognize those that are truly having an impact on business, society and the environment – setting new standards and direction for business.